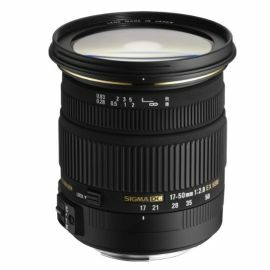 With this 17-50mm F2.8 lens for Nikon, Sigma offers a very high end wide-angle zoom at a very good price. DxOMark tests tend to prove that the Sigma 17-50mm F2.8 EX DC OS HSM Nikon is so good that it even surpasses its competitors from Nikon and Canon which are twice as expensive. However, if you’re looking for a solid wide-angle zoom, the good-old Tamron SP AF 17-50mm F/2.8 XR Di II LD Aspherical [IF] Nikon is also a good alternative. With a distortion and transmission similar to the Nikkor 17-55mm f/2.8, the amazing sharpness at the center and across the field gives a decisive advantage to the Sigma lens. So, even without taking in account its very affordable price, the Sigma 17-50mm f2.8 EX DC OS HSM Nikon is an excellent choice. The Canon version of this 17-55mm Sigma lens is also an excellent lens. In the tests we made with a Canon EOS 7D, the sharpness was better than the Canon EF-S 17-55mm 2.8 across the field. The transmission was slightly higher too. Sigma and Tamron both propose here very good high-speed wide-angle zoom with these lenses. If we would have to make a choice, for the Canon mount version, we would go for the Sigma version which offers a much higher sharpness. But, for the Nikon versions of these lenses, the test results on a D300 are so similar that the choice is be much tougher. We would have to make it a draw.